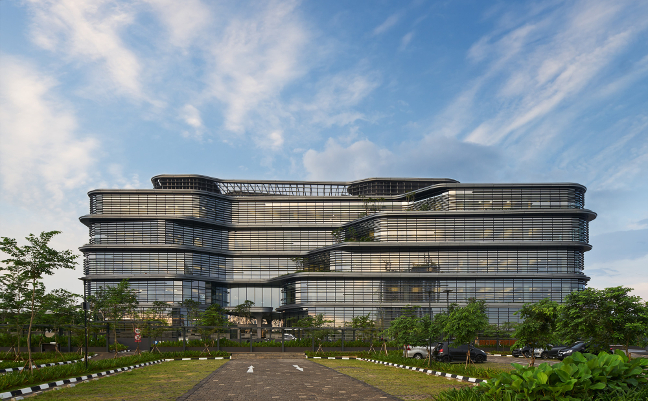 Unilever Headquarters is located in the BSD Green Office Park, Jakarta’s first green office district which was also materplanned by Aedas. 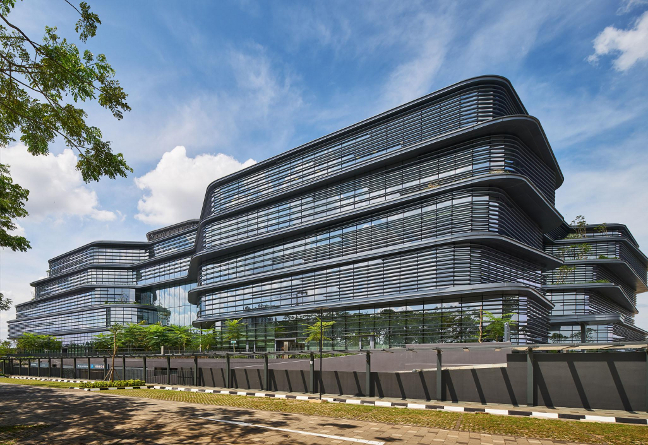 This new Unilever Indonesia office houses all employees from four separate offices in Jakarta under one roof. Aedas architectural and interior designs embody the global company’s vision, values and European heritage within the Indonesian context. The new building is designed with the concept to support the spirit of community, collaboration, engagement and agility. Referenced to the traditional village planning in Indonesia, it has a ‘square’, ‘main roads’, and ‘streets’ to create a sense of community. The planning is focused on engaging group and individual work into zones to induce collaboration while maintaining privacy. 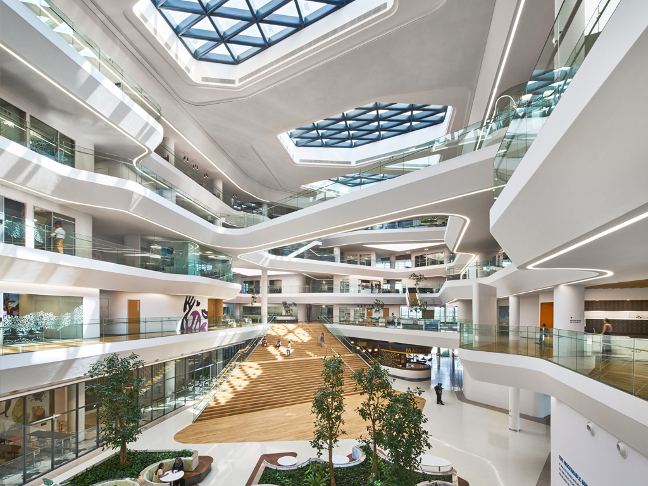 The top four floors are office spaces with break-out areas; while the ground floor is dedicated to public and shared facilities. Surrounding the central, light-filled atrium that serves as a large event space are common facilities including a mosque, staff dining area, day care centre, fitness centre, beauty salon and multi-purpose hall.